Los Angeles has long been a destination for trend setters and fashion seekers alike, which is why this city is home to some of the best shopping in the world. 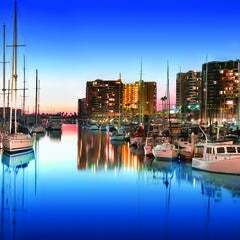 Find the best shopping from global luxury brands to discount outlets, paired with entertainment and dining, at malls located everywhere from Downtown L.A. to the Beach Cities. 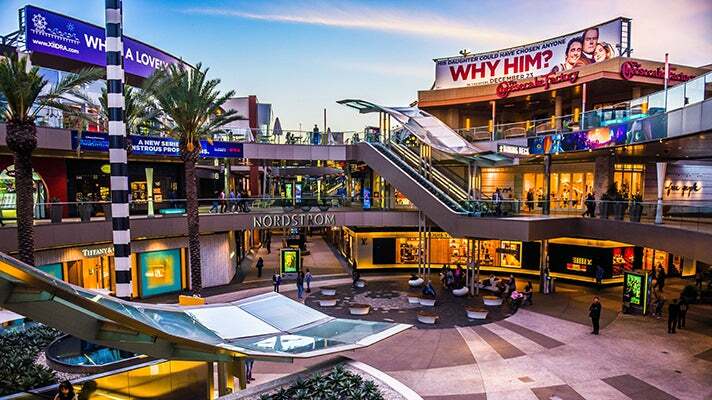 Read on for the best shopping malls in Los Angeles. Westfield Century City, which was originally opened in the 1960s, has been revitalized in a $1-billion redesign, creating an essential Westside escape like no other, infusing the property’s design and decor with an authentic Southern California vibe. This expansion in what is Westfield's flagship mall creates a 1.3-million-square-feet showcase for more than 200 luxury, contemporary and international designer brands, a new three-level Nordstrom featuring its latest design concepts, a completely remodeled three-level Bloomingdale’s and a modern new two-level Macy’s, as well as the West Coast’s first Eataly, an Italian-focused food emporium co-owned by celebrity chef Mario Batali. 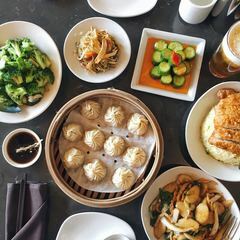 About 90 percent of the stores and restaurants, including Nordstrom and the Taiwanese dumpling house Din Tai Fung, are new. The mall has walkable plazas, tree-lined pathways, strolling gardens and cool green canopies. Nearly 100 types of specially made furniture, much of it made of wood, are along the walkways to invite visitors to linger. 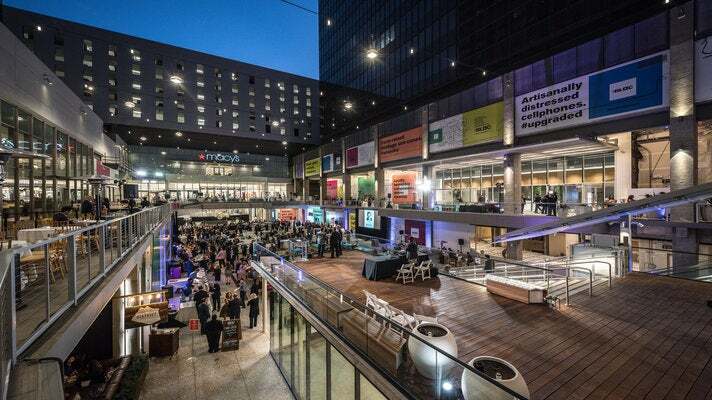 Located in the bustling 7th Street corridor linking the financial, fashion, jewelry and theater districts, The Bloc is a hip open-air destination in the hub of Downtown Los Angeles. Completed in summer 2016, the $160-million transformation of what was once a blocky fortress-like plaza has brought forth a sleekly redesigned Macy’s, a 496-room Sheraton Grand Los Angeles and a luxury office tower seamlessly blending in with an open-to-the-sky marketplace. Located across from the 7th Street Metro Station, The Bloc features thoughtfully curated local boutiques, artisans, premier retailers and eateries, playing host to some of the coolest art installations and live performances in the region. More than just a shopping center, Hollywood & Highland is a complete entertainment experience. Outdoor concerts bring a sense of community in the summer, while tourists on Hollywood Boulevard make for spectacular people watching. Visitors sign up for guided tours of the world-famous Dolby Theatre, home to the Academy Awards, America’s Got Talent, American Idol and other star-studded events. Hollywood & Highland is centrally located above its namesake Metro Red Line Station. Don't forget to check out the upper walkways surrounding the central courtyard, a great place to snap photos of the world-famous Hollywood sign. 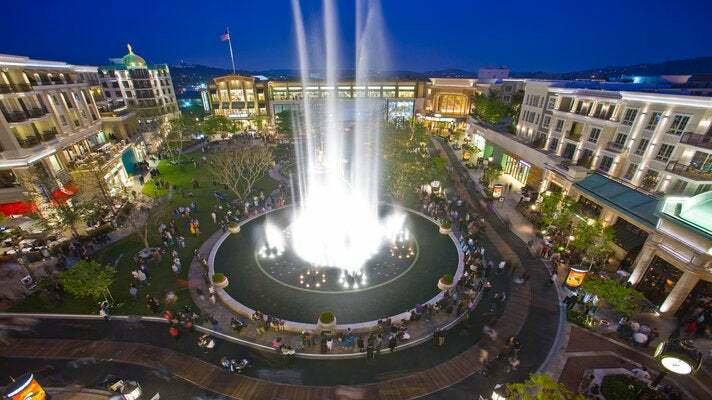 The Grove is one of the most acclaimed retail and entertainment destinations in the United States. 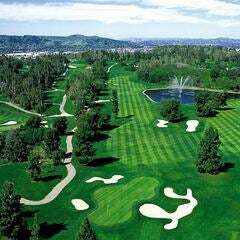 Many have studied The Grove in hopes of replicating its astounding success. Today, it is one of the highest-grossing shopping centers in the country. But at its core is an attention to neighborhood scale and detail, a passion for great design and a relentless focus on the customer and tenant experience. It successfully fuses the dual ideas of high-end retail and community feel. Throughout the day, the dancing waters of The Grove’s fountain reach skyward, and people linger at the al fresco cafes and inviting storefronts. The Grove brought the glamour and magic back to the movies, by building a 14-screen art deco-influenced theater, staffed by ushers wearing classic pillbox hats. 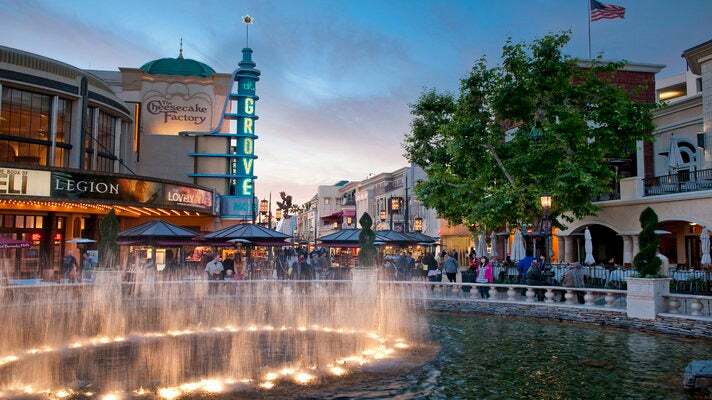 The Grove pulses with style, warmth and energy, which is why the world’s leading brands and personalities, everything from Vince and Topshop Topman to Diane Von Furstenberg and Barneys New York, come to The Grove to launch their latest creations. Underscoring the mall's personal touch, The Wall Street Journal has rated the Grove as having the best concierge in the country. Next door to the Grove is the world-renowned Original Farmers Market at Third and Fairfax. 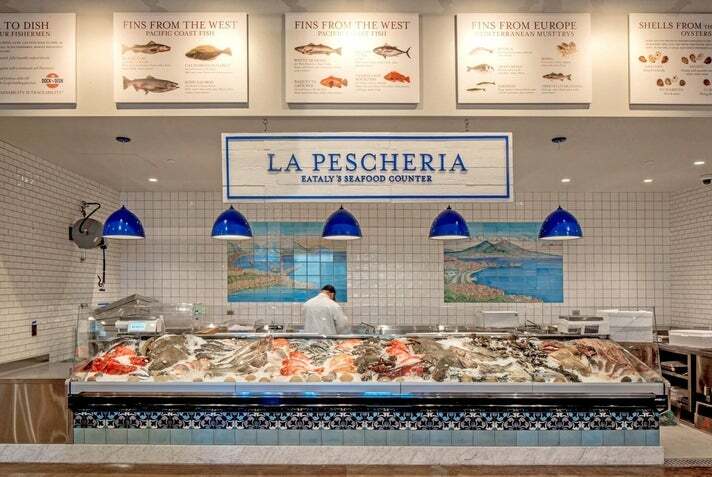 Opened in 1934, the landmark open-air marketplace features more than 100 locally owned produce stands, gourmet grocers, specialty shops, food stalls and sit-down restaurants. The Market also hosts numerous events throughout the year, including Mardi Gras, the Fall Festival and Christmas Festivities. 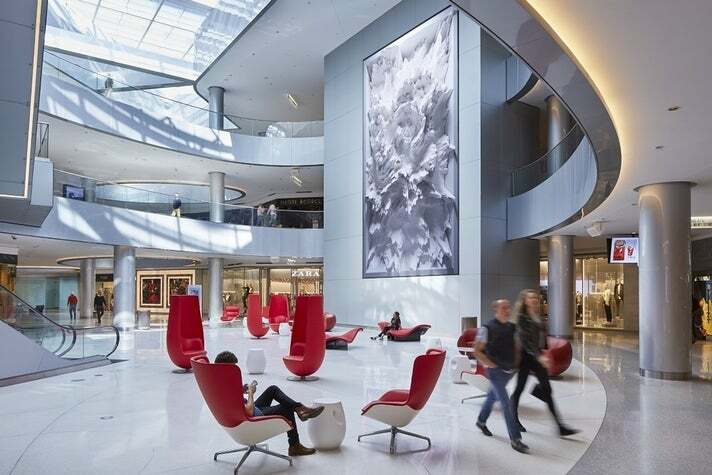 Taubman Centers, Inc. has completed a $500 million re-imagination of the Beverly Center that has completely transformed the iconic fashion destination. Designed by Studio Fuksas of Rome, the renovation adds a continuous ribbon of skylights that bathes the entire center’s elegant and contoured interior in natural light. A shimmering new exterior incorporates a perforated steel façade that beautifully captures light all day. Still in the works is THE STREET, an eighth-level gourmet food hall by Michelin-starred chef Michael Mina. 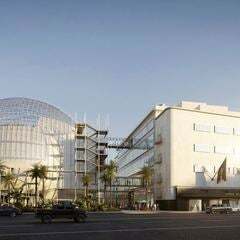 With this renovation, the Beverly Center - with a clientele that influences celebrity style and popular culture - continues to lead Los Angeles into a fashion-forward future. The center is anchored by Bloomingdale’s and Macy’s, and features more than 100 of the world’s most trend-setting brands, including Burberry, Dolce & Gabbana, Fendi, Gucci, Louis Vuitton, Prada, Saint Laurent, Salvatore Ferragamo and Versace. The Americana at Brand in Glendale fuses luxury living, shopping and entertainment to create a uniquely sophisticated and upscale Southern California urban environment. With Boston’s historic Newbury Street providing the design cues, the 15.5-acre mixed-use property is laid out as a classic American town square, circled by a historic orange trolley. At the center of the square stands a two-acre park that features a large and magnificent fountain, which dances to timeless music, and is gloriously lit up in the evenings. 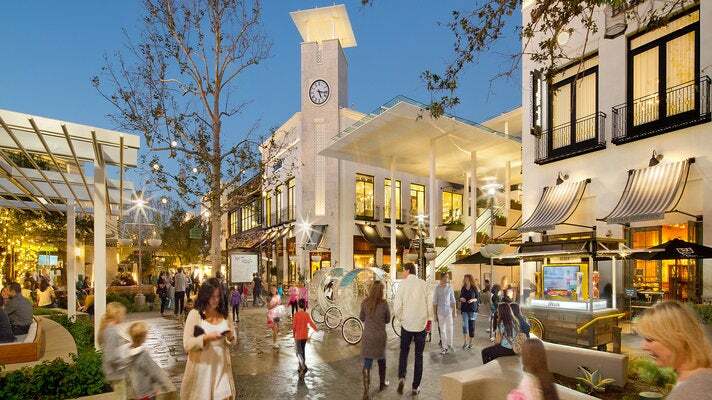 Seventy upscale retail, dining and entertainment destinations, everything from Barneys New York and Cole Haan to David Yurman and Diane Von Furstenberg to Tory Burch and Tiffany & Co. including an 18-screen Pacific Theatres, make their home at The Americana at Brand. Today, The Americana at Brand is one of the most productive and highest-grossing retail centers in the world. 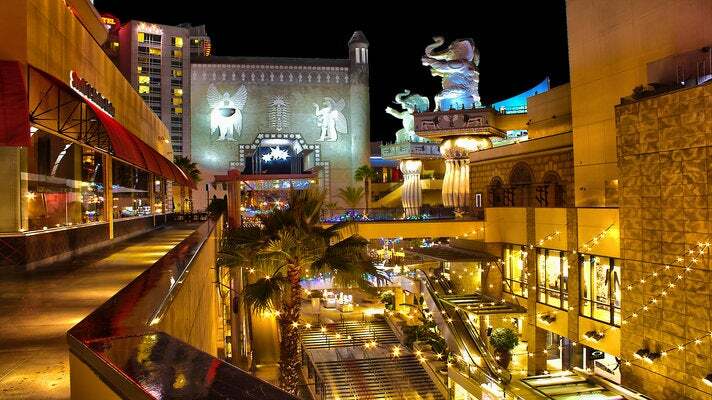 For a complete leisure experience to complement a shopping spree, head to the Glendale Galleria. Featuring a children’s play area, a fabulous food court, several restaurants and numerous spas and salons, this retail destination offers a whole lot more than just shopping. But don’t overlook the high-quality selection of stores, everything from Armani Jeans and Coach to Boss Menswear and Apple. 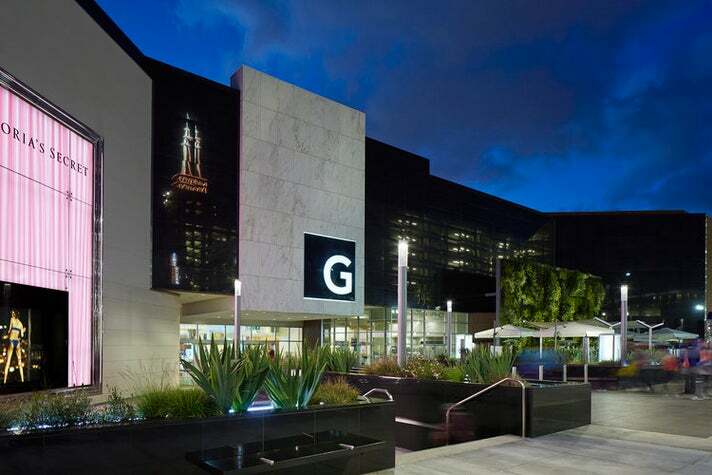 Anchored by a sleek Bloomingdale's and a well-stocked Macy’s, the Glendale Galleria features plenty of stores with the latest fashions and brands. 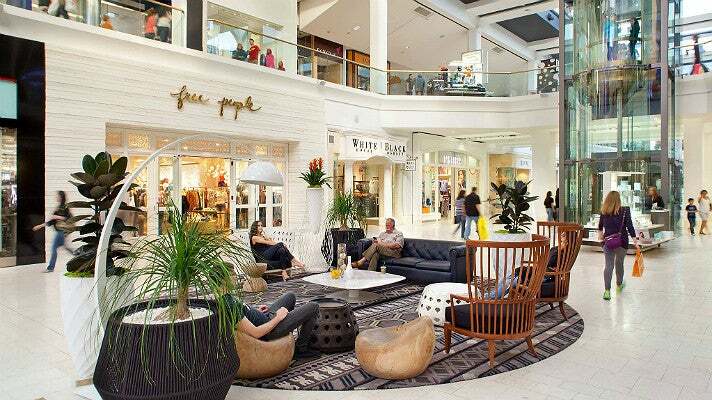 Westfield Fashion Square in Sherman Oaks is a fashion-forward, two-level enclosed regional shopping center catering to the trend-savvy shopper and the San Fernando Valley’s most affluent tastemakers. Situated directly alongside the 101 freeway, just east of the 405 freeway, the property serves a loyal customer base that shops the center at twice the industry average. Anchored by a flagship Bloomingdale’s and Macy’s, Fashion Square also features Coach, Apple, Michael Kors, H&M, Z Gallerie, Zara, Sephora, Athleta, BCBGMAXAZRIA, LUSH, Kiehl’s, Williams-Sonoma, Banana Republic and J.Crew. Westfield Topanga, the only center in the United States with a Neiman Marcus and flagship Nordstrom alongside Target, is a power shopping paradise with a luxury lineup including Gucci, Tiffany & Co., Salvatore Ferragamo, Louis Vuitton, Cartier, Burberry, Jimmy Choo and David Yurman alongside Apple, Tesla, Tory Burch, Anthropologie, Free People, OMEGA, Splendid, Urban Outfitters and Lacoste. Now open alongside the Canoga Park property is an outdoor oasis called The Village, which opened in September 2015. Providing local residents and visitors a destination experience unlike any other in the San Fernando Valley, The Village showcases trendy local fashion and lifestyle brands, sensational restaurants offering al fresco patio dining, a full-service gym, spa and yoga studio, along with Costco, Crate & Barrel, a weekly farmer’s market and more, all under a canopy of native trees and vegetation. Since opening in August 2010, Santa Monica Place, just blocks from the beach, has been viewed as one of the country’s most innovative redevelopments and continues to raise the bar in terms of shopping, dining and entertainment. 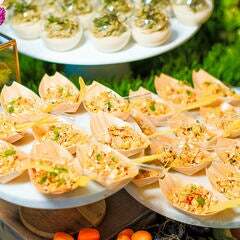 It's topped by a rooftop dining deck with chef-driven restaurants and gorgeous views of the city, the mountains and the Pacific. Amazing stores, everything from Louis Vuitton, Coach, Ted Baker London and Tiffany & Co. to Bloomingdale's and Nordstrom, and a sleek modern open-air design make Santa Monica Place a shopping and dining destination that’s just right for this iconic beach city. A state-of-the-art 12-screen cinema experience by ArcLight was unveiled in Fall 2015. 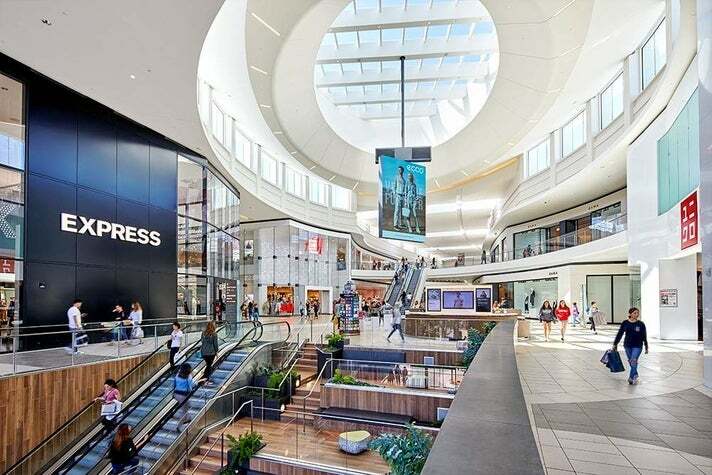 Amid soaring glass windows, bright skylights, living green walls and sleek exterior and interior finishes, there's the Del Amo Fashion Center in Torrance, the South Bay’s premier retail destination. Accented by an abundance of natural lighting streaming through the windows and towering olive-colored palm trees, Del Amo Fashion Center is a favorite in the South Bay. 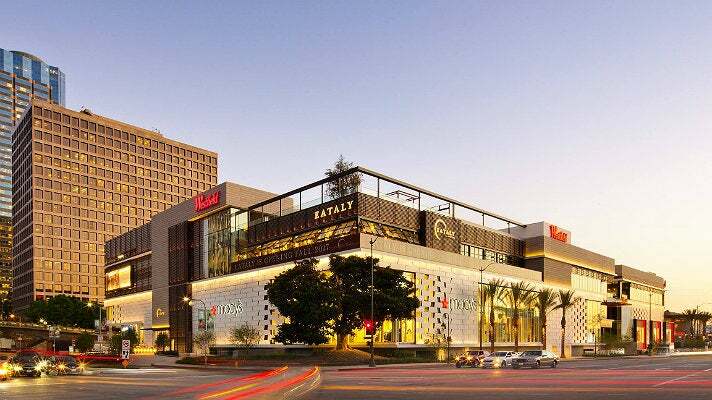 Visit more than 200 stores including South Bay exclusives at the high-end fashion wing such as Kate Spade New York, Coach, Hugo Boss, Brooks Brothers and Swarovski, as well as critically acclaimed eateries like Din Tai Fung. Department stores include a sparkling new Nordstrom and Macy's. At this $300 million-plus gleaming remodel of Del Amo Fashion Center, completed in Fall 2015, there's something for everyone. For some visitors, a visit to Los Angeles isn’t complete without shopping for bargains — and that means scouring the region's great outlet malls. Citadel Outlets, located just 10 minutes south of Downtown Los Angeles, is made within a “castle,” boasting 130 brand name stores offering 30 percent to 70 percent off retail prices. A variety of fashions and accessories can be found at Michael Kors, Armani Outlet, Bally, Hugo Boss, Lacoste, Swarovski, Kipling, Coach, Kate Spade, Tilly's, Perry Ellis, Calvin Klein, Banana Republic Factory Store and Tommy Hilfiger. 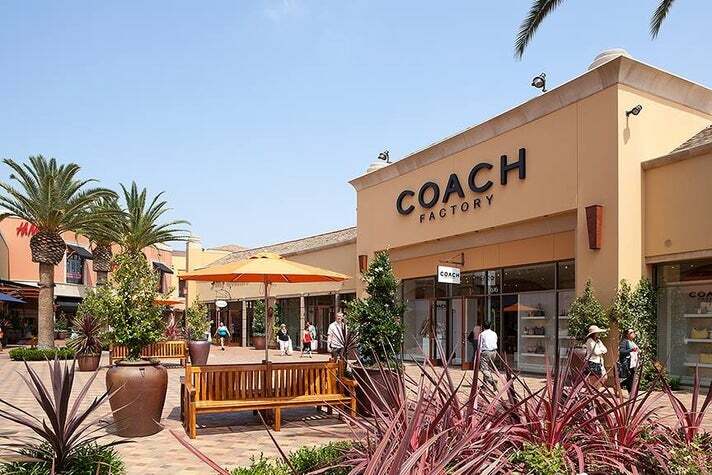 Desert Hills Premium Outlets in Cabazon is home to the largest collection of luxury outlets in California, just over an hour drive from Los Angeles and 20 minutes west of Palm Springs, conveniently located right off the intersection of the 10 freeway. The outdoor shopping center features 180 designer stores including Bally, Brunello Cucinelli, Dolce & Gabbana, Fendi, Gucci, Jimmy Choo, La Perla, Moncler, Prada, Roberto Cavalli, Saint Laurent Paris, Salvatore Ferragamo, Valentino and Versace.